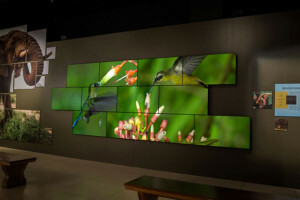 Video walls encompass a wide range of different sizes, resolution and technologies. We offer the industries finest brands so you may select from the narrowest bezels, most flexible mounting systems, and slimmest installation depths. Your solution will be specifically designed to deliver precise and brilliant visual messages in the most demanding environments–from control rooms to digital signage and a range of commercial applications. Todays’ amazingly thin and almost bezel free monitors make this more than just a commercial option. 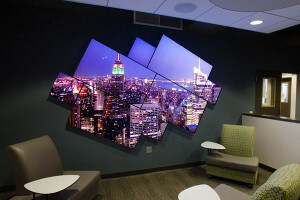 More and more homeowners are taking advantage of the new technologies that make Video Walls affordable and practical for many unique home presentations. 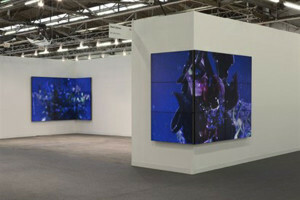 Imagine artwork presented in a modern angular shape on several different screens. There are so many cool new options available. Maximize your investment and minimize use of costly third-party add-ons. Deliver space saving solutions to reduce rack space and number of power outlets required. Provide access to the thinnest solutions in the industry – for perfect panel-to-panel alignment. Include redundant power supply options for continuous operation in the event of a power supply failure, so you have almost no downtime for any possible repair. Remotely locate the electronics for a first class presentation in your home or facility.